Regular vet visits: is it necessary? Visiting a veterinarian at regular intervals will help you stay informed about your pet’s progress. In case of any underlying issue or a severe health disorder, you will get to know the symptoms early on. Routine checkups will ensure a thorough examination of your furry friend. Even if it’s affected with a serious ailment, the prime issue will get identified along with the commencement of targeted treatments. Pets need routine vet visits and regular health checkups just as their owners. 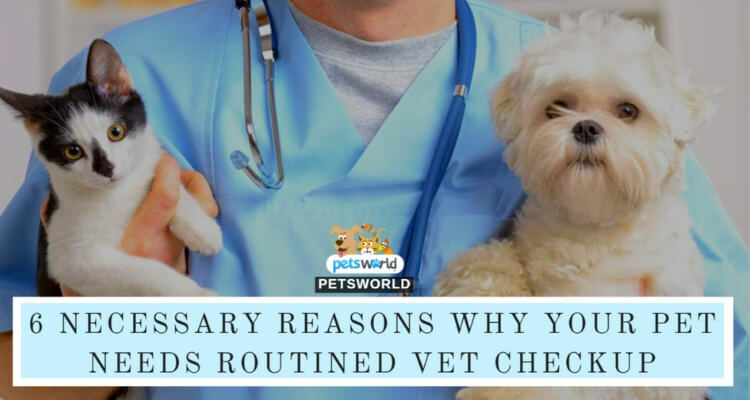 It’s here that responsible, loving, and passionate pet owners need to identify the reasons that call for regular health checkups. Allergic disorders and skin eruptions can be potential problems for pets. Most of the cats and dogs are found suffering from this particular condition. Both these issues complement each other as skin allergies can lead to infections in the ears of your four-legged friend. Some of the pets experience excessive hair growth in and around the area of their ears. The moisture and warmth of the place offers the perfect breeding ground for yeasts. As a result, continuous ear scratching takes place which further develops into ear infections. Taking good care of your pet’s hair, trimming the long tresses, and shampooing with Pets World’s Petwin Groomer’s Choice herbal Dog Shampoo can help to a great extent. Hyperthyroidism can emerge as a potential life-threatening issue in cats. Even though they gorge on a lot of food every day, continuous weight loss is a common issue they face. Cardiac problems and high blood pressure are two of the most potential outcomes of this health condition. Treating this health condition with proper medication is possible. However, the best way to combat the disease is by blasting the thyroid with radioactive iodine injections. With more and more pet owners gaining awareness about this treatment, your cat won’t have to deal with hyperthyroidism for a long time. Pets, especially your canine partners can suffer from dental diseases. Periodontitis is a common issue amongst cats and most of the vet visits in 2016 resulted of this particular problem. Owners have to be careful about their pets’ dental health. Regular cleaning, brushing, and the usage of correct pet care products will help them keep dental problems away. Vaccinations are not only crucial for your pets, but are also imperative for the other creatures at home. 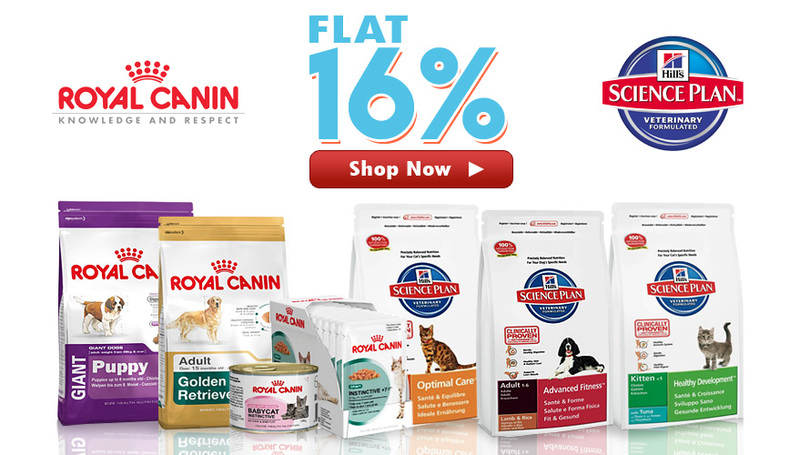 If you are amongst those ardent animal lovers who love to pet quite a few of them, you will surely want to ensure good health and safe life for all your pets. Keeping your pet vaccinated will be a significant step towards ensuring good health as well as overall well-being. Vets across the globe are promoting the significance of vaccines for older cats and dogs along with kittens and puppies. If you want to offer a healthy and sound life to your pets, make sure you keep a tab on the vaccination dates. Some of the pets suffer from critical ailments that result out of toxins. Presence of toxic substances can give rise to severe health issues such as digestive disorders, skin infections, and others. Paying visits to the vet’s chamber at regular intervals will surely give you the right opportunities to treat your furry partners. With your furry companions and canine partners advancing towards old age, arthritis emerges as an obvious and highly critical problem. While dogs are vocal about discomforts concerning health, it is the cats that are mostly silent. Older dogs suffering from arthritis will limp around when they are taken out for walks. However, cats can hide pain as they have evolved psychologically in such a way. If you have a pet cat at home and it’s in pain, you will just see them lying and whiling their time away silently. Comprehensive pet care and holistic treatments can ensure complete wellbeing for your furry friends. Apart from visiting vets regularly, using the best animal care products can help you take care of your pets. Issues like skin infections and allergies can be eliminated with the help of herbal shampoos and soaps. In case of body toxins, the best supplements will play the pivotal part in reducing them and strengthening digestive health. You must be aware of the axiom that states ‘prevention is better than cure’. It is crucial to identify the problems before they get blown out of proportion and lead to severe health issues. Your pets need good care, targeted medical attention, and vaccinations at the right time. With regular and routine checkups, pet owners will find exclusive opportunities to treat their furry friends and ensure holistic wellbeing for them. Tamanna is a blogger by profession and actively writes on Animal Welfare and Pet Parenting related issues. Her work has been well accepted on major digital platforms including the Huffington Post India. How to Take Care of a Beagle Puppy? FAQs about Pet Rabbit Behavior. 3. Which is the Best Dog Food for German Shepherds? 4. Feeding a Labrador Puppy- What to Feed and How Much?